HAVE ADDITIONAL QUESTIONS? USE OUR CONTACT FORM HERE. WE WILL RESPOND QUICKLY! 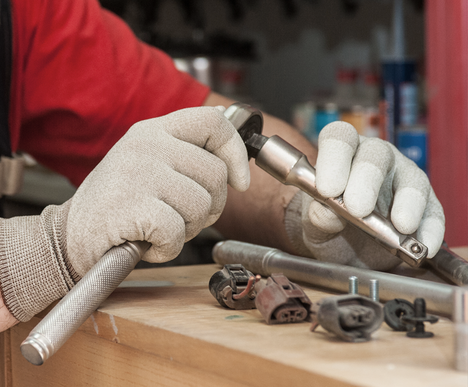 FIX IT FORWARD WITH A FRIEND. 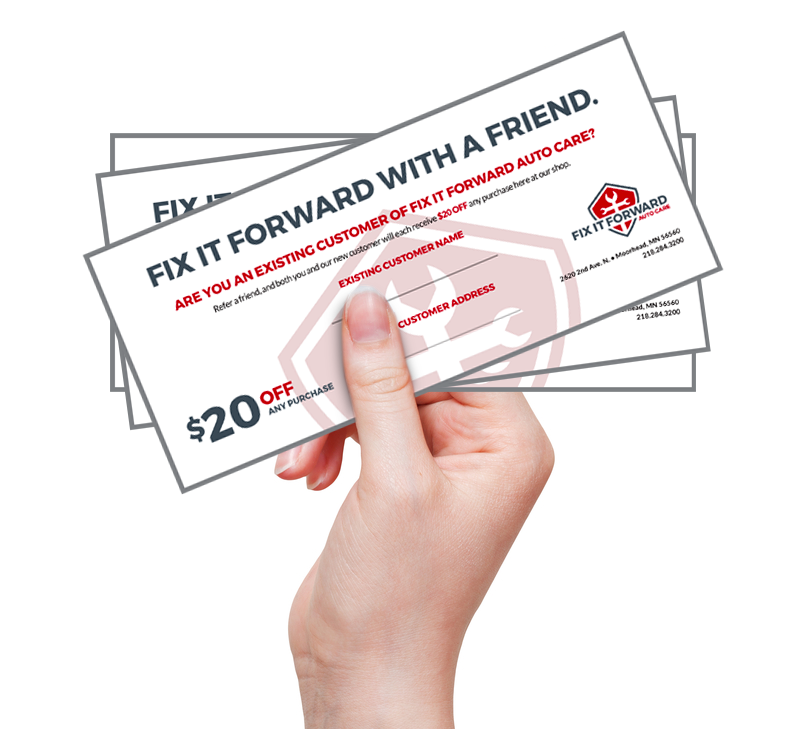 We here at Fix It Forward Auto Care place high importance on building and maintaining relationships with our customers. No better compliment for this commitment than a referral. To show our appreciation, we are offering new customers $20.00 OFF their first purchase here at our shop, and we’ll send another $20 gift cert to the customer who refers them.